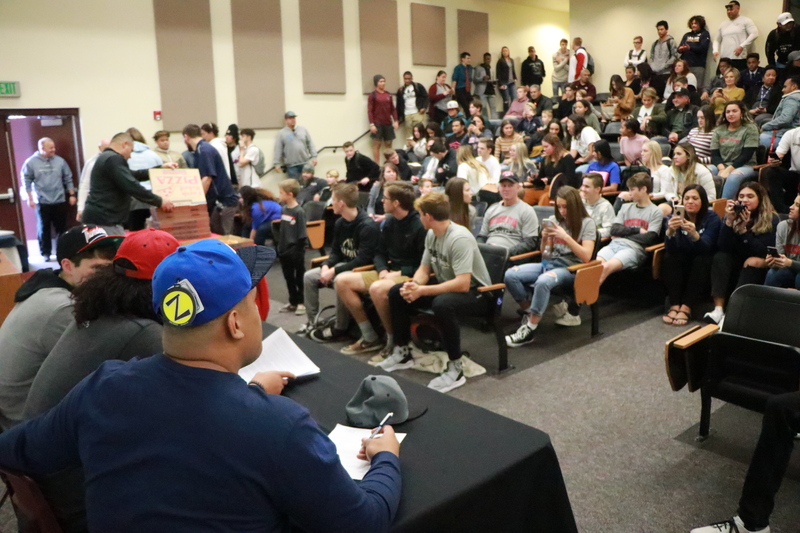 ST. GEORGE — On national signing day Wednesday, several Region 9 senior athletes announced and/or celebrated their acceptance of scholarships to play football at the collegiate level. 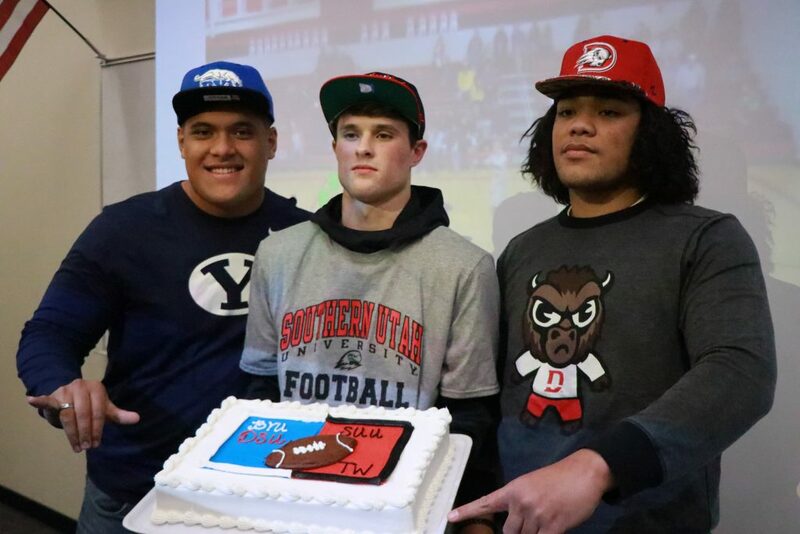 Recognized at Pine View High School during a lunchtime signing ceremony were quarterback Dallin Brown and linemen Solo Katoa and Brooks Maile. 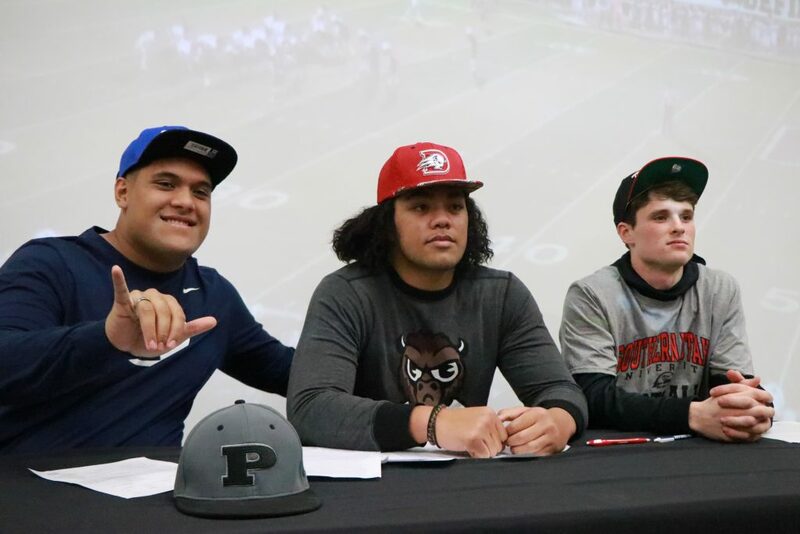 Brown signed with Southern Utah University, while Katoa committed to Dixie State University. 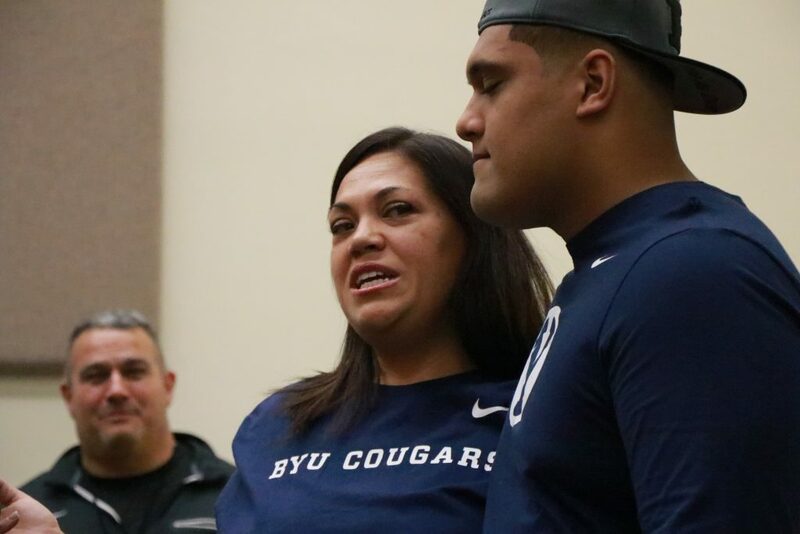 Maile had previously signed his letter of intent in December to play for Brigham Young University. 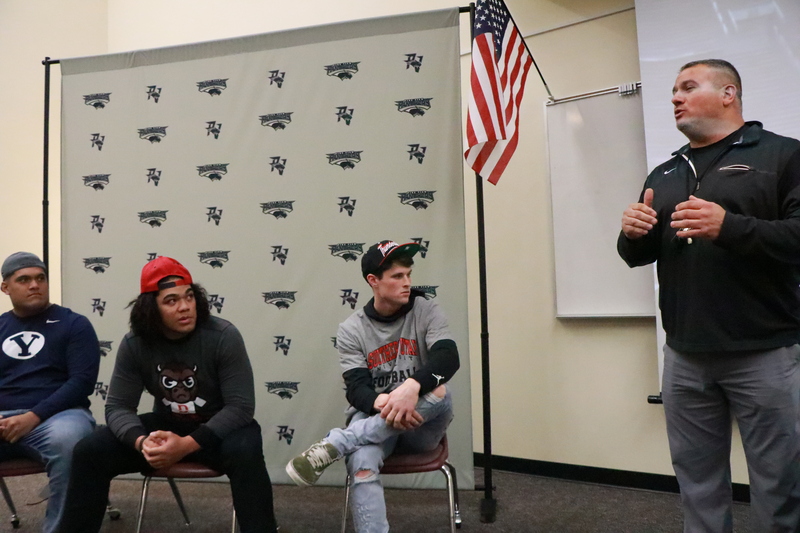 Pine View head coach Ray Hosner praised all three players during the meeting for their dedicated work ethic, both on and off the field. “One thing about our team this year that I thought that I saw a huge change in was how unselfish they became and how much they were just willing to help and serve each other,” Hosner said. “I’m proud of these guys are proud of their accomplishments,” he continued, thanking the players’ parents and family members for their support. The coach also admonished the players to make the most of their scholarships. Hosner said two additional Pine View football players are expected to sign soon, with safety Jeshan Allen intending to commit to Texas Wesleyan University in Fort Worth and running back Tosh Wright still weighing possible offers from Snow College and a couple other institutions. 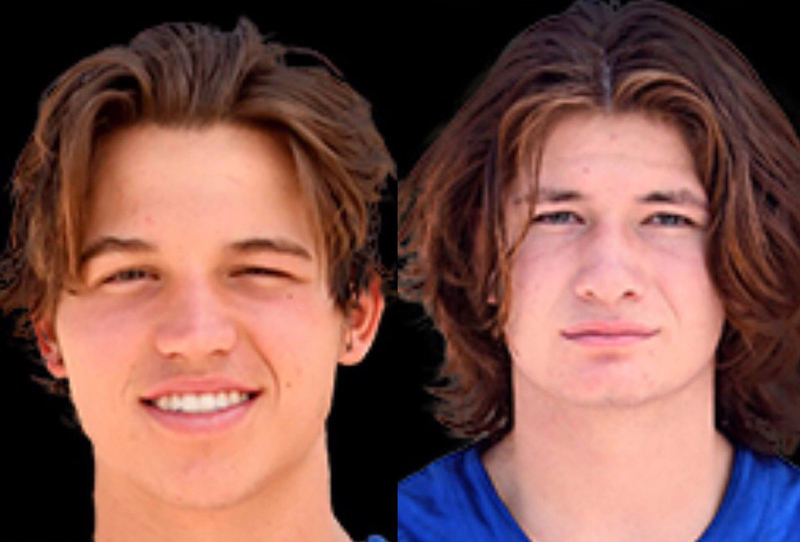 Meanwhile, after school Wednesday at Dixie High School, two Flyers players signed letters of intent to play college football. 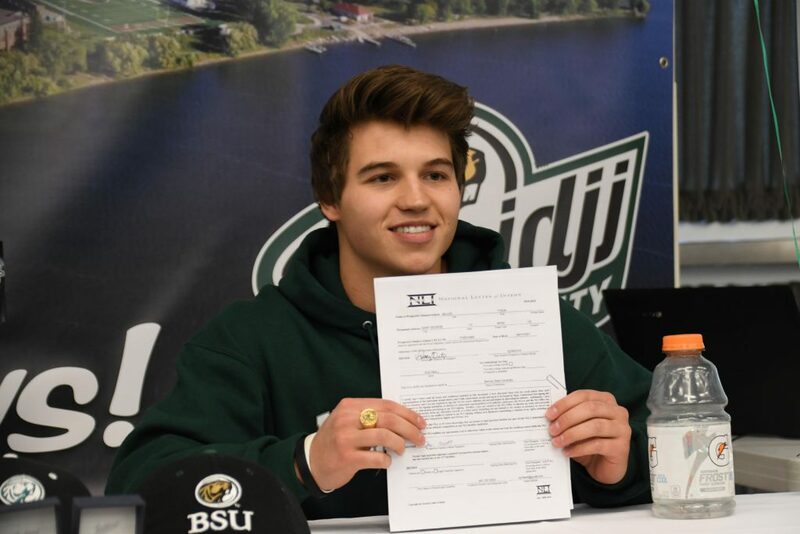 Offensive lineman Jaxon Reyos signed to play at Southern Virginia and defensive back Tyson Miller committed to play at Bemidji State University in Minnesota. Mason Creager, an offensive tackle and defensive end for the Desert Hills Thunder, has committed to play for Southern Utah University. A tweet posted on SUU’s TBirdNation account said Creager will be joining the team “after his mission,” referring to a two-year period of full-time service for The Church of Jesus Christ of Latter-day Saints. 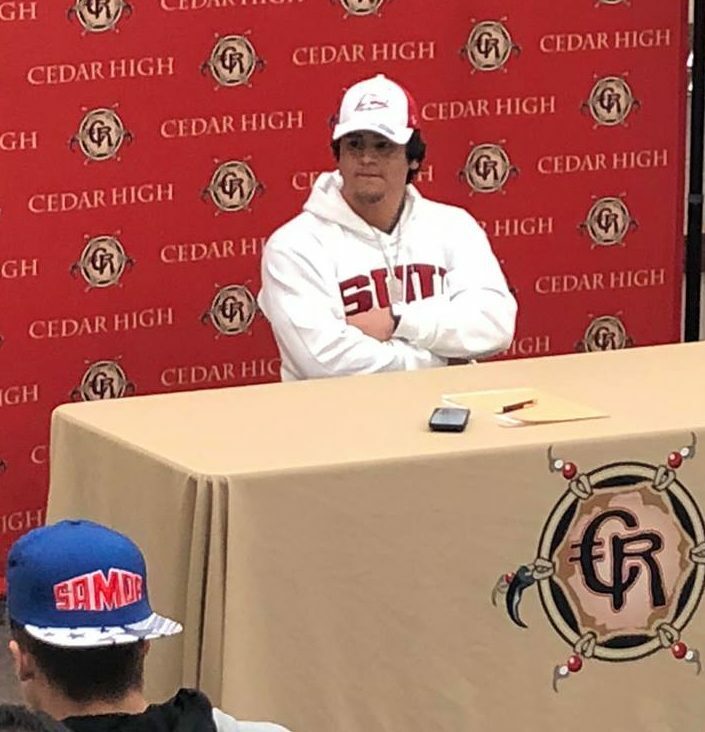 Running back Drake Fakahua signed a letter of intent Wednesday to play football for Southern Utah University. Last fall, Fakahua led the Redmen in rushing with 689 yards on 91 carries and scoring eight touchdowns. 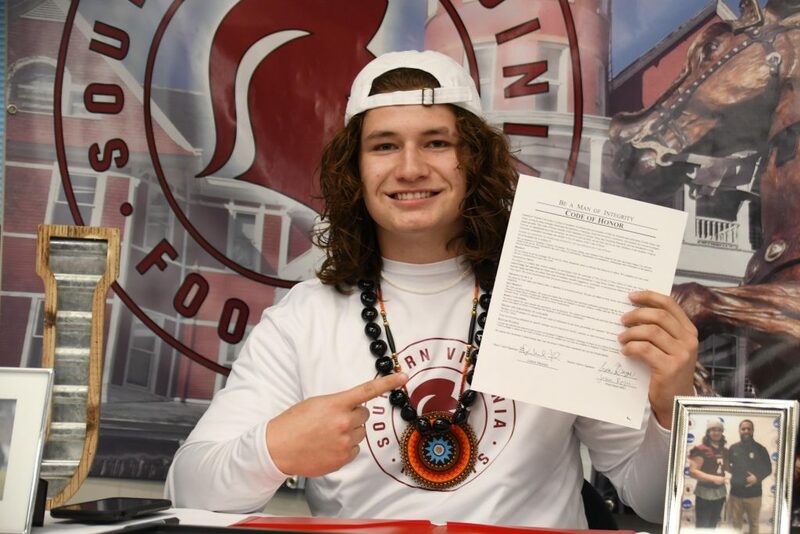 St. George News will update this story as needed, with any additional Region 9 athletes that sign letters of intent during the current signing period. Please send photos and information to jrichards@stgnews.com.